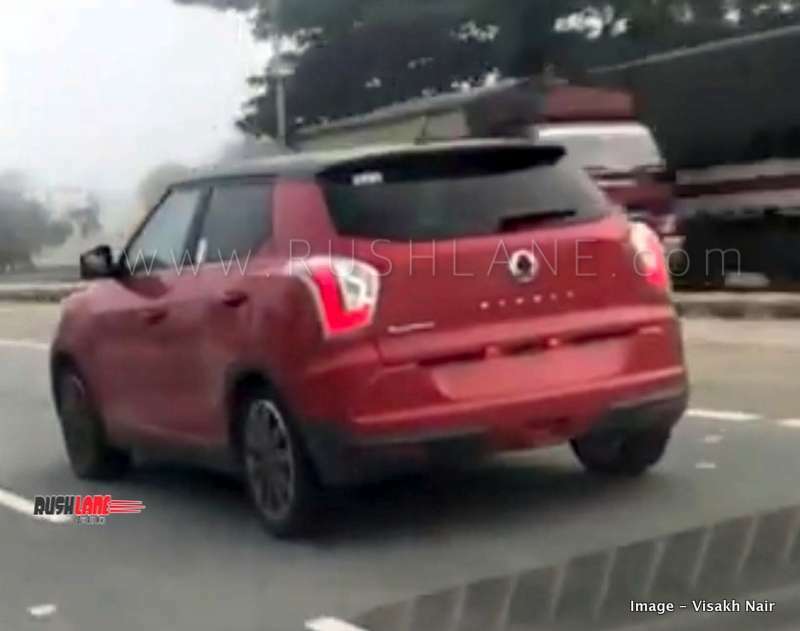 Spied on test in India, new SsangYong Tivoli could launch in India as a premium SUV. Hat tip to automotive enthusiast Visakh Nair for sharing the exclusive spy video. Even as Mahindra is actively testing the Tivoli-based S201 SUV (aka XUV300), they are also testing the international-spec Tivoli on Indian roads. Compared to the S201, Tivoli is a much larger car. S201 / XUV300 dimensions have been reduced to fit it in the sub 4 meter SUV segment. This will allow the XUV300 to compete more aggressively with the likes of Maruti Brezza and Tata Nexon. But with demand for SUV in the mid sized segment also growing, it is possible that Mahindra launches the Tivoli international-spec variant in India, with Mahindra badging – something that they have already done with the Alturas. It is also possible that Mahindra is testing the car to benchmark against the XUV300, which will launch in Jan 2019. Tivoli international spec is 4195 mm long, this is very similar to the size of Creta; that is 4270 mm long. Tivoli also has a longer variant, which is 4440 mm; called the Tivoli XLV. It is possible that Mahindra could launch either variant of Tivoli to take on the segment which is currently dominated by Hyundai Creta, Maruti S-Cross. Speaking about features, Tivoli is a loaded SUV, which comes with 6 airbags, ABS, EBD, sunroof, auto AC, rear AC vents, leather interiors, 7 inch touchscreen infotainment system with Apple Carplay and Android Auto, cruise control, colour TFT for MID, 17 inch diamond cut alloys, disc brakes on all four wheels, etc. Internationally, Tivoli is powered by a 1.6 liter e-XGi160 naturally aspirated petrol engine offering 128 PS power and 160 Nm torque. It also gets a 1.6 liter e-XDi160 turbocharged diesel engine capable of 115 PS power and 300 Nm torque. In India, it might get new 1.5 liter diesel engine, which also powers the Marazzo. This engine delivers 123 PS and 300 Nm via six speed manual transmission. Automatic transmission could also be on offer. Expect launch price to range from Rs 9-13 lakhs, sitting above the XUV300 in company line-up.